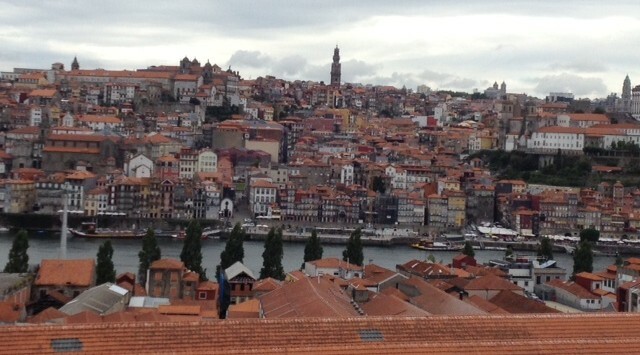 Porto from our hotel balcony. Notice the warehouses filled with port wine at the bottom. Hope everyone is doing well. My wife and I just returned from a wonderful trip to Portugal that included Lisbon and Porto. The food was amazing, the people are incredibly friendly, and best of all you can enjoy the country on a fairly limited budget. Next week marks the 150th anniversary of the battle of the Crater. It is by far the most popular commemorative event of the Petersburg Campaign and there is a good deal to do if you are in the area. I am heading down on Tuesday so I can be on the battlefield early morning on July 30th. Tours are scheduled throughout the day along with a keynote address in the morning. On August 1 I will deliver a talk on the Crater and historical memory at 7pm at St. Paul’s Episcopal Church, which is located at 10 Union Street. The park service is expecting the largest number of visitors on Saturday, August 2. There will be no parking on the battlefield so plan accordingly. Click here for a list of all activities related to the Crater. Below is the talk on the Crater that I delivered a couple of weeks ago at the Gettysburg National Battlefield as part of the Sacred Trust Talks. Kevin, I plan to be there at dawn on the 30th as well. Do you have any further information on the morning’s events? The PDF I downloaded from the park website was not very detailed. That’s about it. Tours throughout the day and evening along with a keynote address. Saturday looks to be a busier day for the NPS. I watched/listened to this during my breakfast. That was a mistake. Not sure I follow. Is there something in my talk that you take issue with? Feel free to share. Oh no! Never in life! It was an excellent talk all the way around. And nice to put a physical presence to the voice behind this blog. No, it just put me off my eggs. I should have waited to listen when I wasn’t eating. I knew you weren’t going to pull any punches. My own fault. I just re-read Andy Hall’s blog post destroying the myth that 98% of Confederate soldiers owned no slaves. Andy shows how that’s only true at the most superficial level. And I’ve been thinking about the psychology of people living in a slave society. This talk seems to fit into this overall pattern of how these average-Joe Confederate soldiers had a stake in slavery whether they owned slaves or not. It also re-emphasizes for me the irrational nature of this slave society. When your talk highlighted the slave uprisings that kept Southerners in terror, it struck me that all of these events had happened YEARS earlier; yet the Slave Society ensured that these events were fresh in everyone’s memory, would never be forgotten, and would be invoked again and again to reinforce the necessity of white supremacy. It’s one thing to sit here and try to imagine the mindset of people living in such a society; it is quite another to have you grab me by the shirtfront and show me in such a visceral way. Joseph Glatthaar’s Robert E. Lee’s Army goes into great detail about the relationship between the Confederate rank-and-file and slavery. My talk, which covered a big chunk of the first chapter of my book, set out to show that slaveowners and non-slaveowners alike understood just what was at stake by the summer of 1864. Thanks for the follow up. Next post: Why Should We Remember the Battle of the Crater?